One of a kind and in stock now -- our perennial favorite top in extraordinary fabrics! 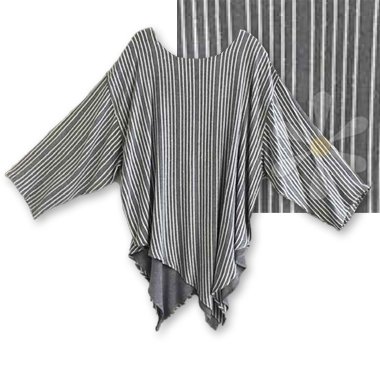 This already fabulous top is all kinds of gypsy wild with it's extra layers and pixie hems, but here it is in our rare shadow boucle -- a silver weave with raised white stripes -- layered over our our beautiful flat silver weave. Dare we say it's to-die-for gorgeous? We think so! To see details and measurements see our main DJURA page.